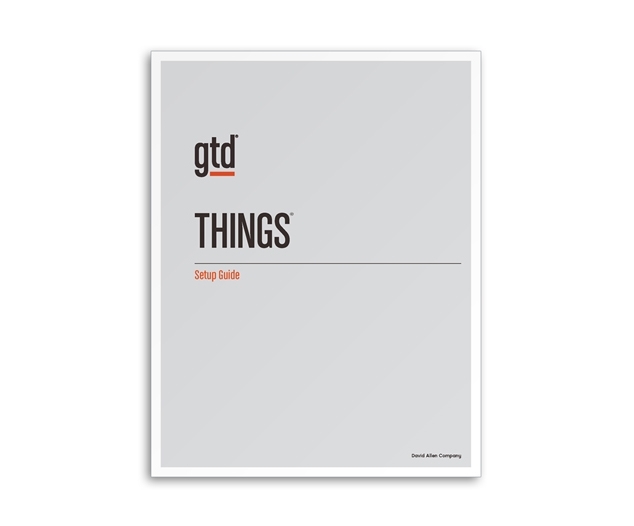 Our best-practices guide for implementing GTD® with Things® 3 on your Mac desktop. 37 pages. - Letter size PDF download, 8½" x 11", commonly used in North America. 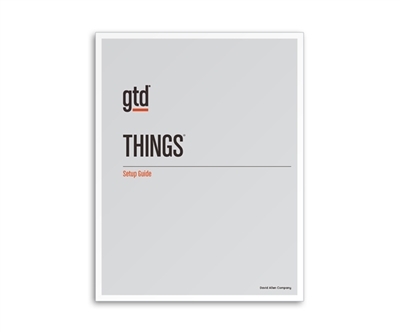 - A4 size PDF download, 210 mm x 297 mm, commonly used outside of North America. - To purchase a download you must create a store account with password at or before checkout, to be able to access the download link available on our site at your Order Details page. - After purchasing, you can get your file immediately by going to your Order Details page at My Account/Orders found at the bottom of our site, or wait for your order confirmation email that will have a link taking you to your Order Details page. From there you can download the PDF file, saving and/or printing for your personal use.